This morning I wanted to share a quick Snapguide I created on a project that I created using the awesome Hydrangea Hippo “BOOtiful” kit. As a guest designer for October, I received a huge kit full of goodies to work with. 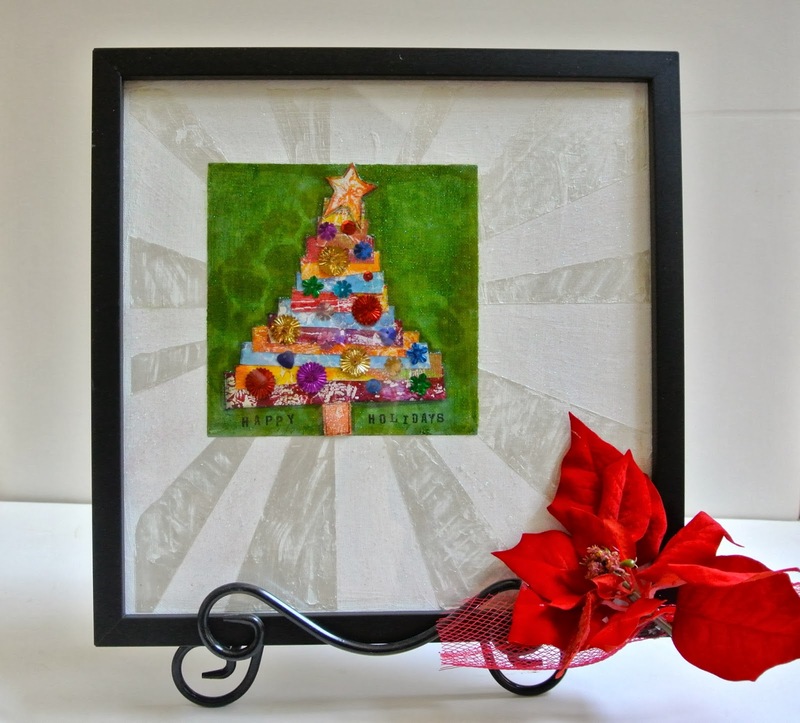 This kit includes: papers, TONS of ribbons and trims, and an assortment of beads, sequins, and baubles. 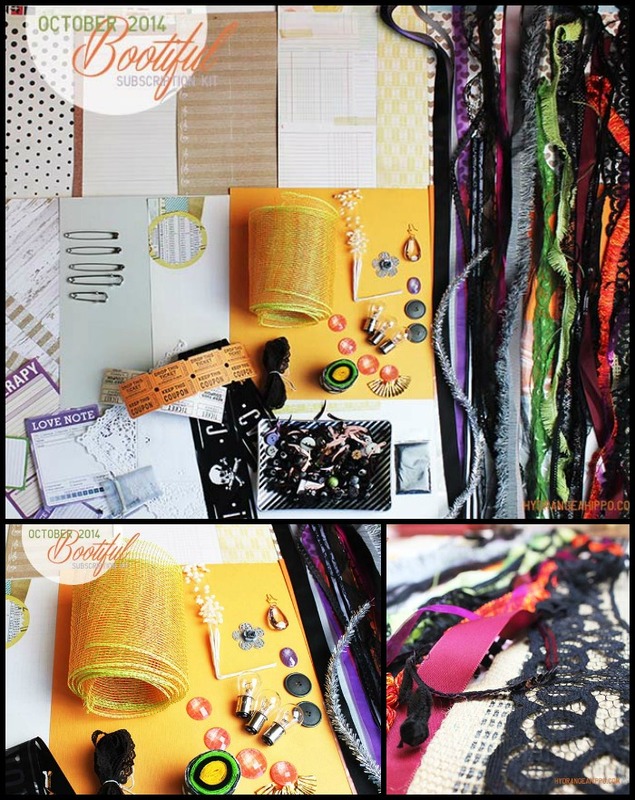 Plenty of material to create multiple projects and layouts! Check out How to Make a Fall Picture Frame by Melissa Johnson on Snapguide. 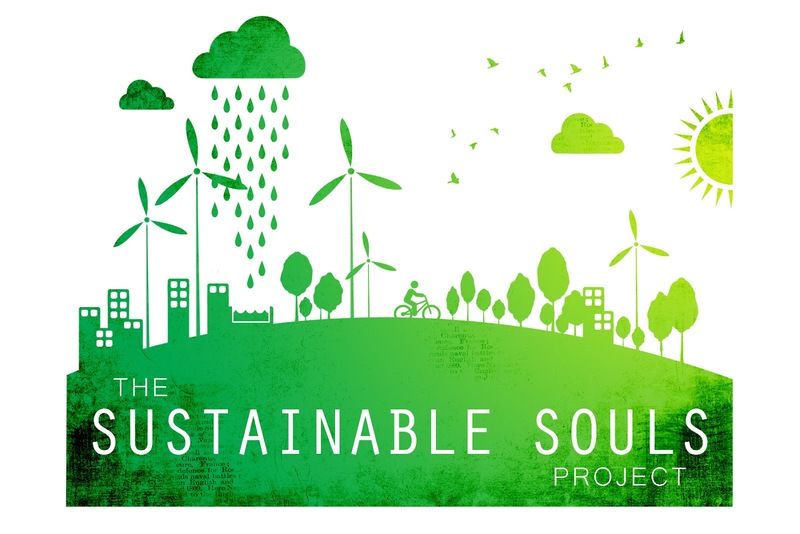 To learn more about purchasing the kit I used to create this project, click HERE. Good morning! 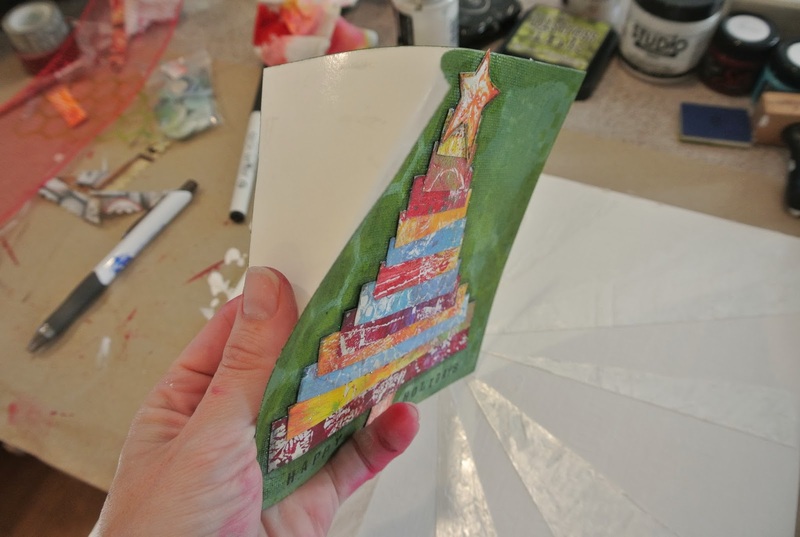 Today I wanted to share my tutorial on how to make a piece of holiday home decor using products from the December Frog Dog Studio kit. 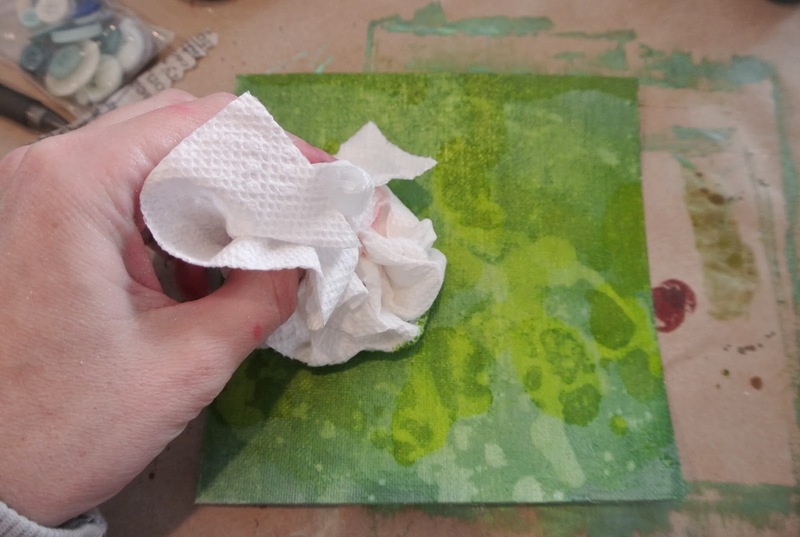 To begin this project, I prepped the 6 x 6 sticky backed canvas from the kit using Silks, spray ink with a stencil, and alcohol inks. 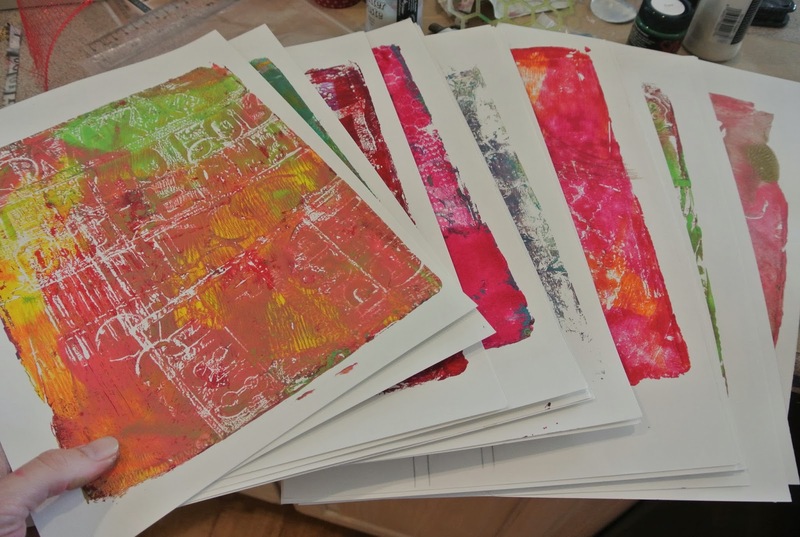 Since I got my Gelli plate a few months ago, I’ve been addicted to making prints and hoarding them. 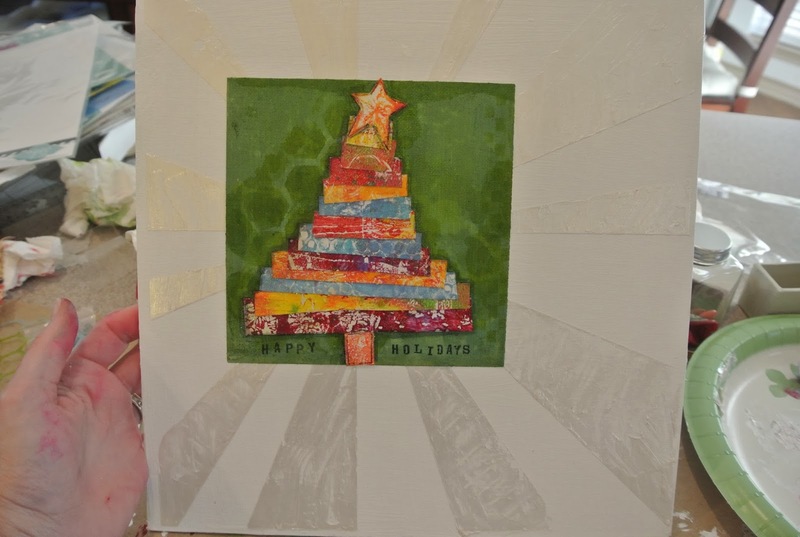 For this project, I thought it would be fun to use them with a holiday spin. 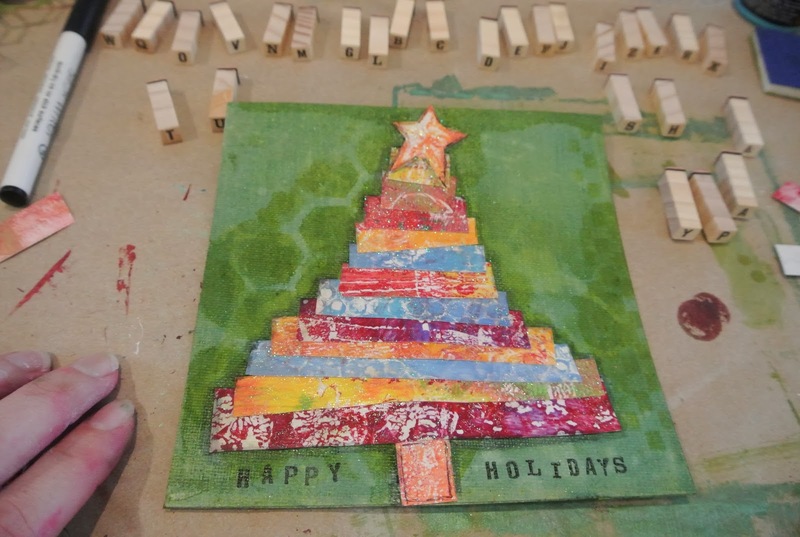 I selected a few prints and cut them into strips to form a Christmas tree. I attached them to the canvas with matte medium. 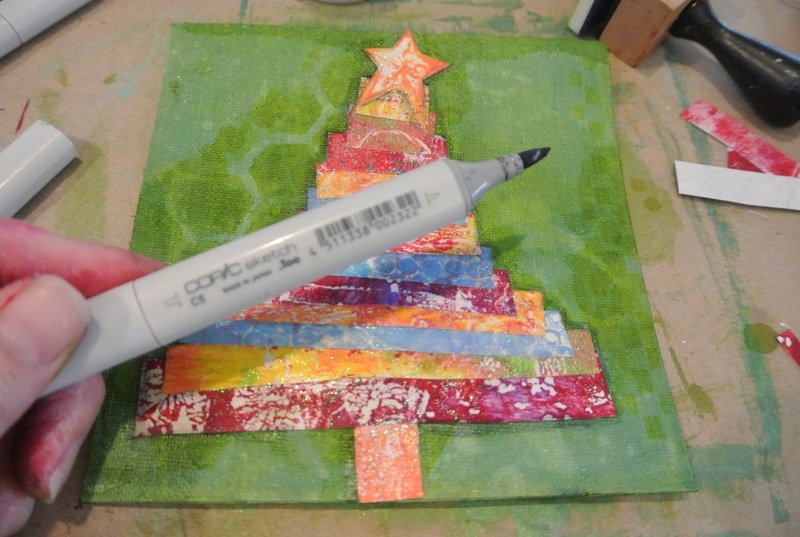 Since it’s the holidays, I thought I would add some sparkle by covering the Gelli print Christmas tree with Viva Decor Glitter paste. When that was done, I did some shading around the tree with a grey Copic marker and then used some letter stamps and StayZ on ink to add the sentiment. 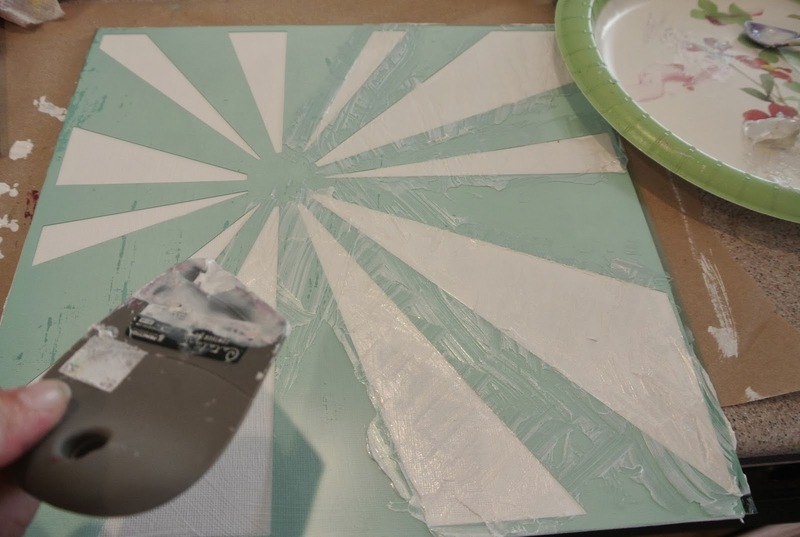 The next step was to create the larger canvas background. 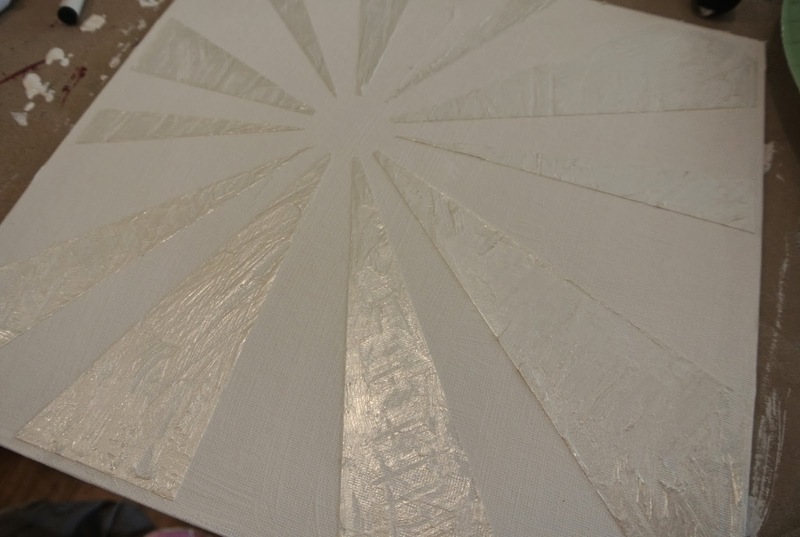 Using a 12 x 12 canvas board (which I really recommend for mixed media, as it’s a harder surface and is easier to work on than a stretched canvas), I laid down a Heidi Swapp sunburst stencil and gently applied the pearlescent Viva Modeling Creme. The effect was really beautiful! 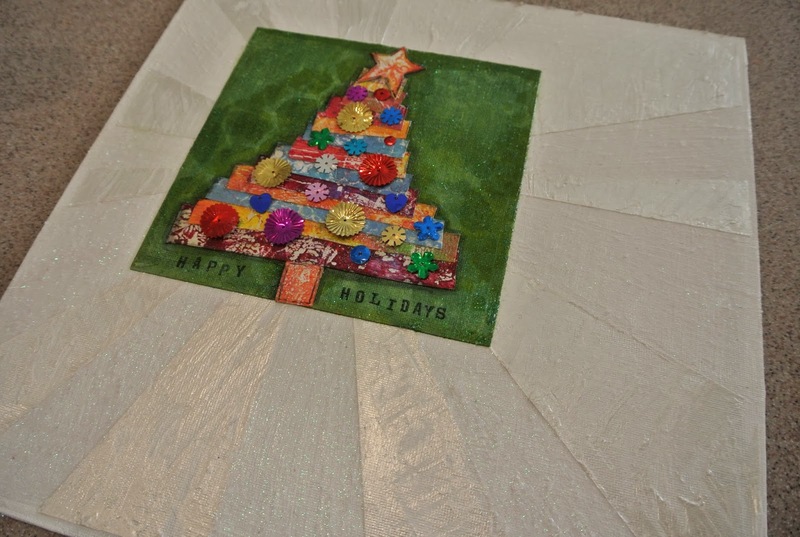 To finish the piece, I peeled off the sticky backed canvas with the Christmas tree and stuck it to the larger canvas in the middle of the sunburst. 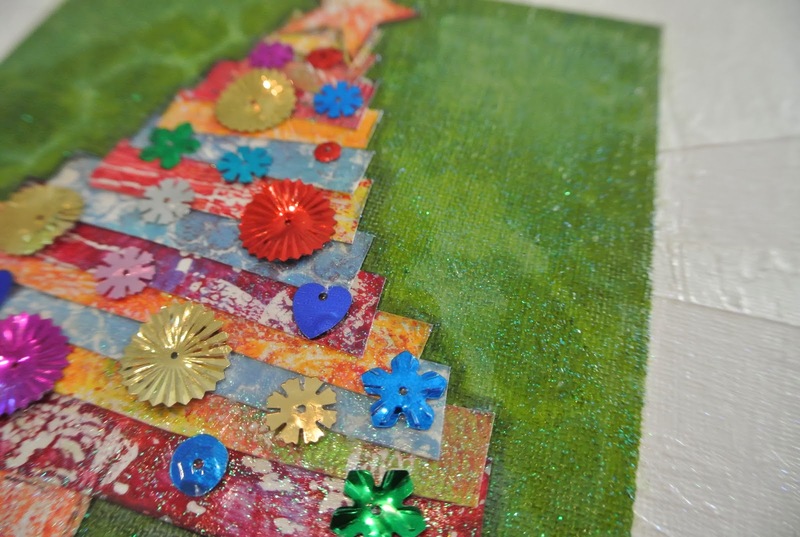 I also added some fun metallic sequin type embellishments to the tree for ornaments. They really shine! Hi everyone! I hope you are all enjoying your weekend. 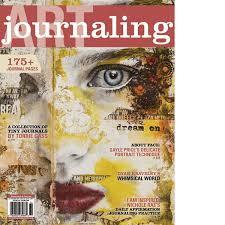 I’m taking a quick moment to catch up on my blogging. Between today’s basketball tournament for one daughter and the other’s dance recital–it’s going to be a busy day! 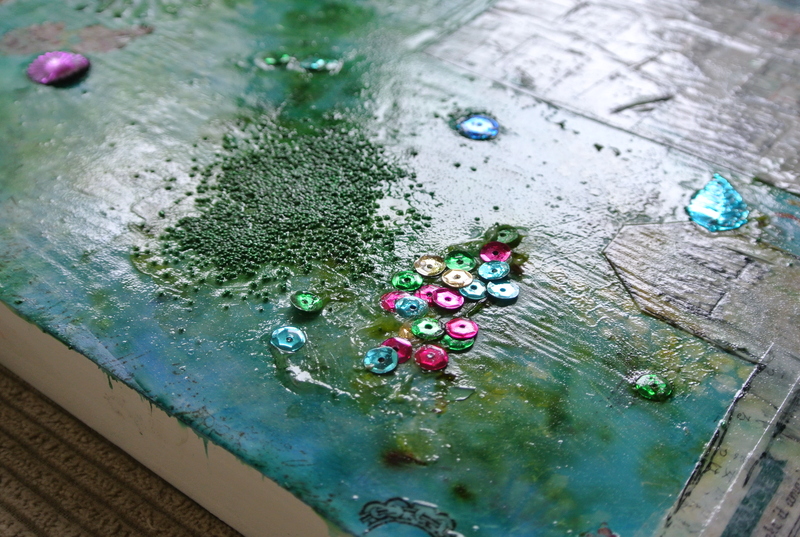 I wanted to let you know that I have my How to Create a Mini Mixed Media Canvas tutorial posted up on the Frog Dog Studio Blog, as well as the tutorial on How to Create a Textured Art Journal Page. I hope you will stop by and take a look. 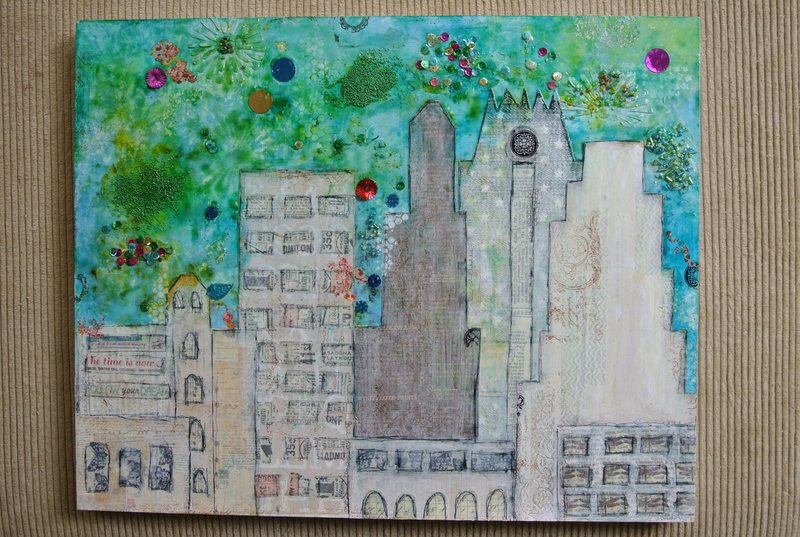 In other news, I was asked by my sister-in-law to create a fun and funky mixed media piece for their new home in Austin. Of course I was happy to do so 🙂 I bought a plain 16 x 20 art board and went to work. She liked the idea of a skyline, so I searched Google images and found a basic shaped skyline. From that I gathered assorted papers (scrapbook papers, book pages, and old sticker sheet of my daughter’s, etc.) and began cutting them into the general shapes of the buildings. I laid them down on the board to make sure everything would fit properly. Then I started on the background. 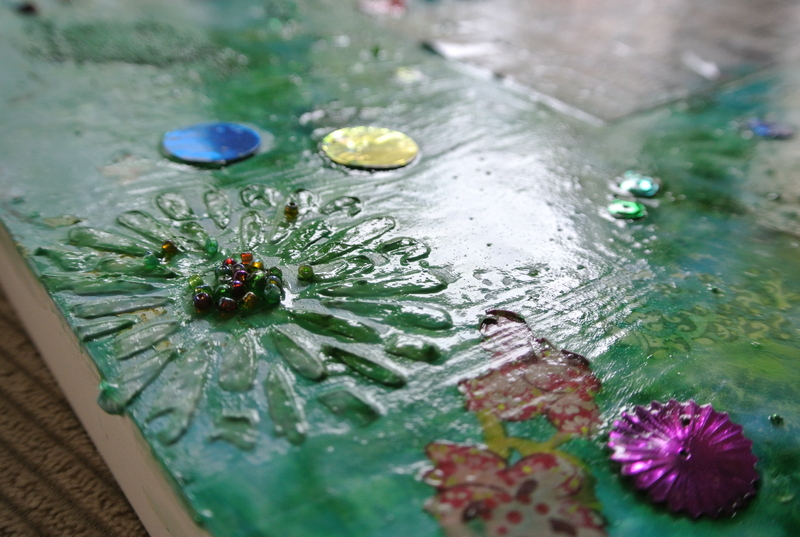 The board was already gessoed, so I was able to get right to work. 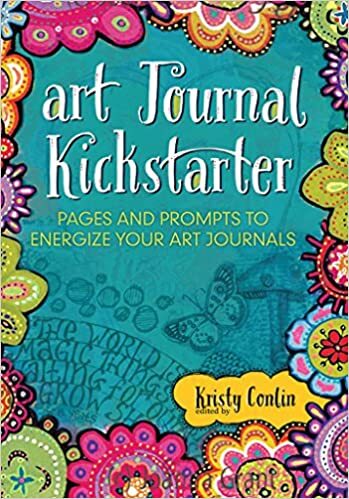 I mixed several different paints, stencils, spray inks, and modeling paste to create a background with lots of texture and color. 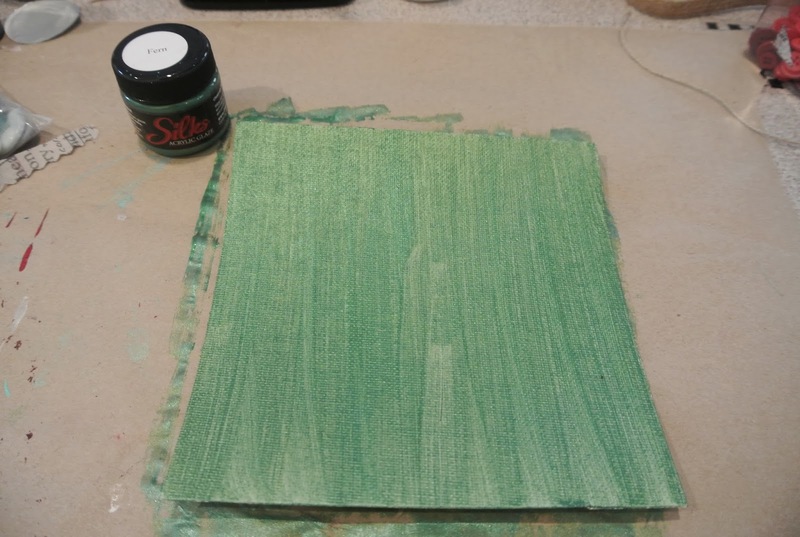 The next step was to use the Claudine Helmuth matte medium to glue down the buildings. 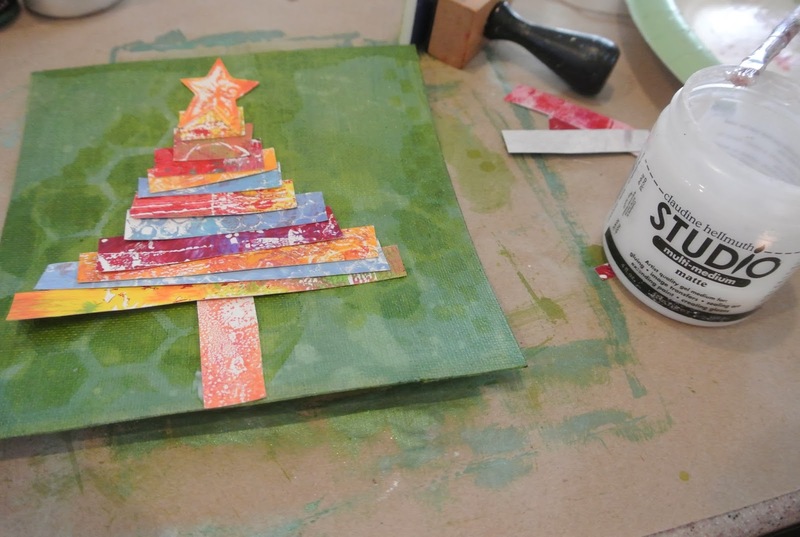 Then I tore up bits of paper and washi tape to create the details. I outlined everything with a pen, then I went back to the background. 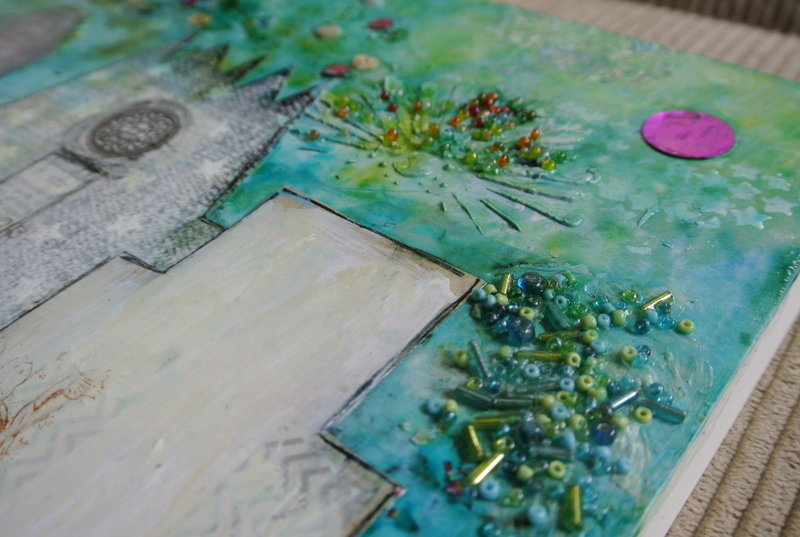 Using heavy gel medium, I attached lots of different beads and sequins to really add some dimension to the piece. I also added some rubons and used a roller stamp randomly. 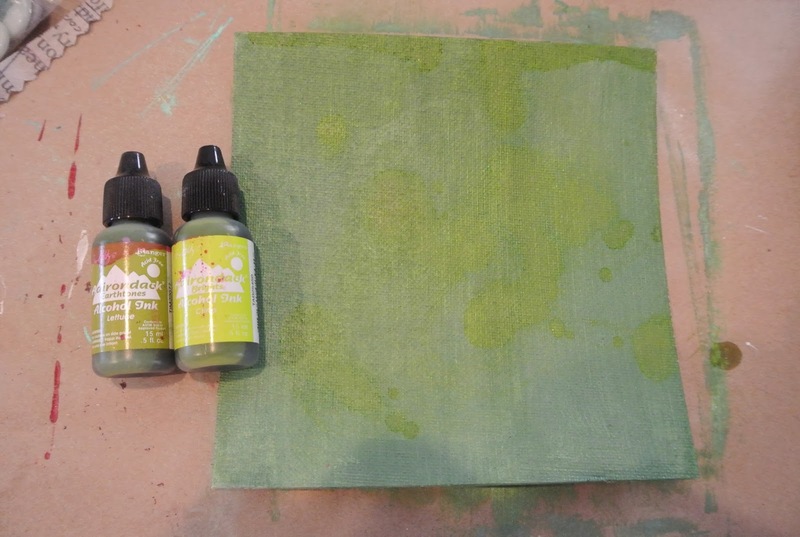 Once everything was dry, I sprayed the entire thing with a fixative. I didn’t want everything all running together. 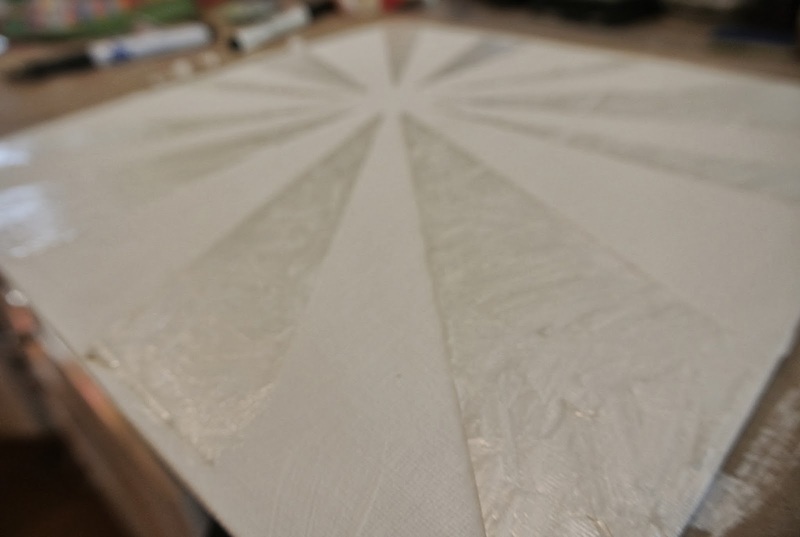 After the fixative dried, I put a coat of Golden clear self leveling gel to finish it off. 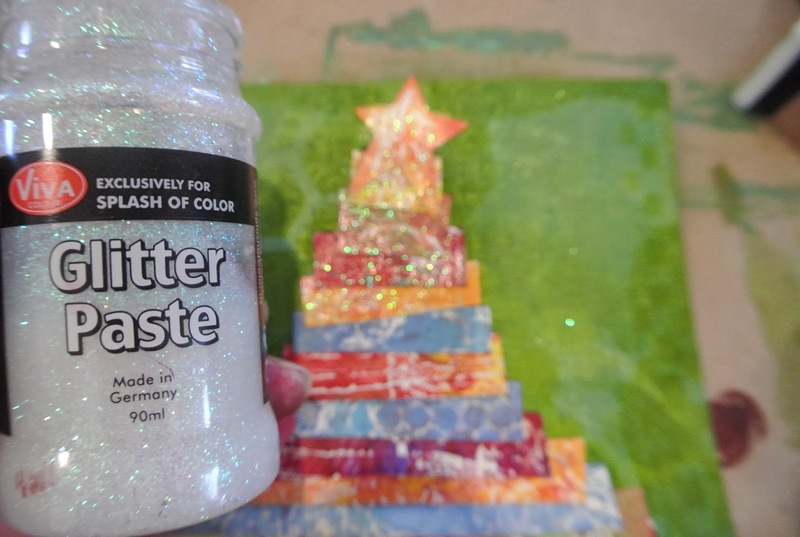 It adds a heavy gloss and seals and protects the entire piece. I am really happy with the end result, I hope that she likes it! Thanks for stopping by, I will be back in a few days with another fun project I plan to start this weekend for my daughter’s room…stay tuned!